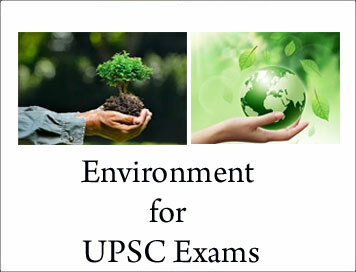 National Green Highway Mission : Environment for UPSC Exams | IAS EXAM PORTAL - India's Largest Community for UPSC Exam Aspirants. It is a National Mission of making highways green which includes (Plantation, Transplantation, Beautification and Maintenance). Its intention is to take care of the ecological needs, environmental needs; peoples need, and strike a sustainable balance. Financing: 1% of the total project cost of National Highways will be kept aside in a Green Highways Fund to be used for plantation and its maintenance. Strict auditing: Release of money only if the survival rate of the trees/project is 90% in the previous year. ISRO as monitoring and auditing agency. Project on Contract basis to NGOs, private companies and government organisations. Livelihood opportunities to the nearby community. Act as anti-glare to the upcoming vehicle thereby reducing roadside accidents.